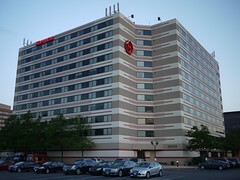 php[tek] 2015 will once again take place at the Sheraton Gateway Suites O’Hare in Chicago. The conference hotel is located within a very short distance of O’Hare Airport (a free shuttle is provided—simply follow the directions for pick-up at the airport). In fact, you can reach it from downtown Chicago by using the El just by taking the Blue Line to the airport and then taking advantage of the free shuttle. 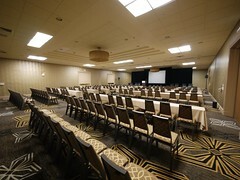 Book Sheraton O’Hare — $159/nightThe conference venue with limited hotel space available. Rate only available until April 25th, at which point the above link will cease to function and the venue will be effectively full. Book Holiday Inn — $185/nightRight next to the conference venue, the Holiday Inn is convenient and offers free Wifi and a hotel shuttle from the airport. You can also call them at 1-888-551-3843 and mention group “php[tek]” to make your reservations. Rate is only available until May 4th and rooms will be at the prevailing rate after that. Book Best Western — $125/nightDiagonally across the intersection from the venue, the Best Western is a short walk to the venue. It offers free Wifi, breakfast buffet, and hotel shuttle service as well. It also happens to be located next to Shoeless Joe’s, a common nightlife spot during the conference for attendees. To get the group rate when you book, you must make your reservation by phone by calling 1-847-296-4471 and state you want the “php[tek]” group rate. To book with the Best Western O’Hare, please call 1-847-296-4471 and state you want the “php[tek]” group rate. Please make sure to following the above links & instructions for booking your stay in order to get the discounted rates. If you have any issues with booking, please don’t hesitate to contact us, we are happy to help you out.